The C30 from Volvo comes with a gasoline or diesel engine (in Europe), but the Swedish manufacturer also looks to the future, he has built some prototypes with an electric powertrain. On batteries, their range is very limited, less than 100 miles. Just add more batteries if you want to drive more. This is what Volvo could have done, but they chose to go another way, with a fuel cell. There’s several reasons to use a fuel cell, and one of them is price. A large battery pack is as heavy as it is expensive. I’m not saying a fuel cell is cheap, but it certainly can compete on price. The choice of a fuel cell will also give Volvo engineers an opportunity to get a closer look at this technology. Hydrogen and fuel cell, and more as Volvo made the strange choice to avoid using an hydrogen tank. A small tank gives the electric C30 a range extended by 150-miles. 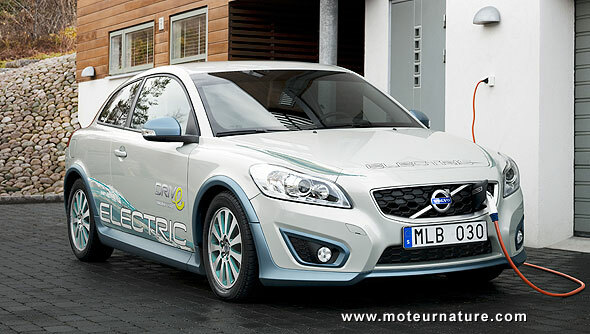 Volvo will build 2 electric C30s with a fuel cell next year, and they will go through a long panel of tests in 2012.